As the summer holidays approach their end, parents may be longingly counting down the days until the kids are back to school. Long summer days can mean lots of time for play, but with play come the inevitable sibling squabbles. Although squabbling can be very wearing for parents to listen to, it does serve an important developmental function. ‘Conflict resolution’- the ability to put across your own point of view assertively whilst considering another person’s point of view to reach a compromise- is a skill that is essential to all areas of adult life (work, friendships, relationships, parenting). We (parents) tend to step in too quickly in order to settle the dispute promptly and restore peace. However, (unless one child is unable to defend themselves, being especially targeted, or they are hurting each other physically), it is more beneficial to the children to give them the opportunity to resolve the issue themselves. When children feel passionately about a subject, they want to talk about it, and nothing makes them more passionate than defending their own interests! Allowing children plenty of time to discuss ideas and negotiate the rules of a game encourages them to use and expand their language abilities. Here is a speech therapist identifying the value of free play for language development. School and afterschool activities take up most of the day during term time and so for most of the day children are with their peers and may not see their siblings at all. Structured activities have crept into the weekends too, so siblings are spending less and less time playing together. The sibling relationship is a special lifelong bond that should be fostered in families to give children a sense of belonging and support– something very important to their mental health as they grown up (see here for more information on sibling relationships). Though play, children strengthen their relationship and sorting out disputes is part of this. Summer time is a great time for long days playing -building forts and happy memories. The ability to sort out conflicts requires the child to show empathy for the other person’s feelings. According to Peter Gray- developmental psychologist (Free to Learn – why unleashing the Instinct to Play Will Make Our Children Happier, More Self-Reliant, and Better Students for Life) children today lack empathy , which he attributes to a lack of free play. See Peter Gray’s fantastic Ted talk on this here. Playing with children of different ages is something that is often not prioritised within our childcare and education system. From very young children are separated within institutions into babies, wobblers, toddlers, Montessori class etc and then into their class groups in school. Young children learn skills from older children such as language and imaginative play schemes. Older children learn to show care and kindness to those that need more support and also how to explain and adapt their play to suit children of different abilities. Children experience lots of emotions and they need help to manage them appropriately. The ‘squabbles’ are a chance for children to practice doing this in a safe environment. Being able to communicate assertively without becoming upset or aggressive is a skill adults struggle with too and comes with practise. Children who are sensitive tend to be especially sensitive to their environment which can lead to more meltdowns due to sensory overload. Opportunities that arise through play can provide a great chance for children to learn how to manage difficult emotions to prepare them for other environments such as school. Having recently had the kindness of a stranger when my son bumped his head in the airport and needed first aid, I also was aware of how many other people didn’t stop to help…Is kindness becoming obsolete? Roald Dahl said ““I think probably kindness is my number one attribute in a human being. I’ll put it before any of the things like courage or bravery or generosity or anything else- including brains” and I would have to agree! Kindness in children can’t be taught in a classroom, it comes from lived experience. Through play children see other children needing help, getting upset or getting annoyed and learn to show them kindness. 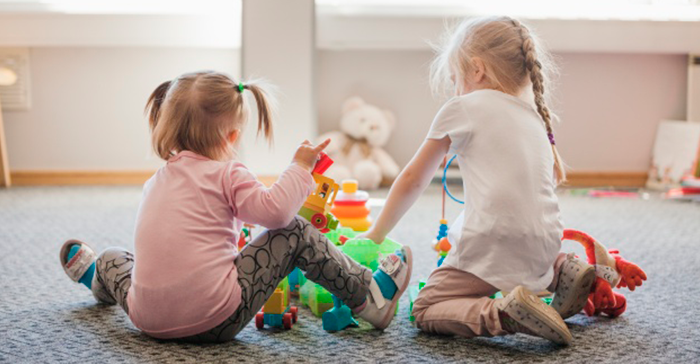 In summary, sibling squabbles , are an important part of growing up and will help your child develop confidence, empathy, language and kindness . Don’t worry if your child is an only child, you can create opportunities for free play with other children with cousins, neighbours and friends. So if you breathe a sigh of relief when they go back to school next week you can also feel relieved that they have been busy developing their conflict resolution skills – another tick in the good parenting box . You are also raising a child that may become the adult who stops to help a stranger in need!